You are here: Home / Adopted Cats / Glori – Adopted! 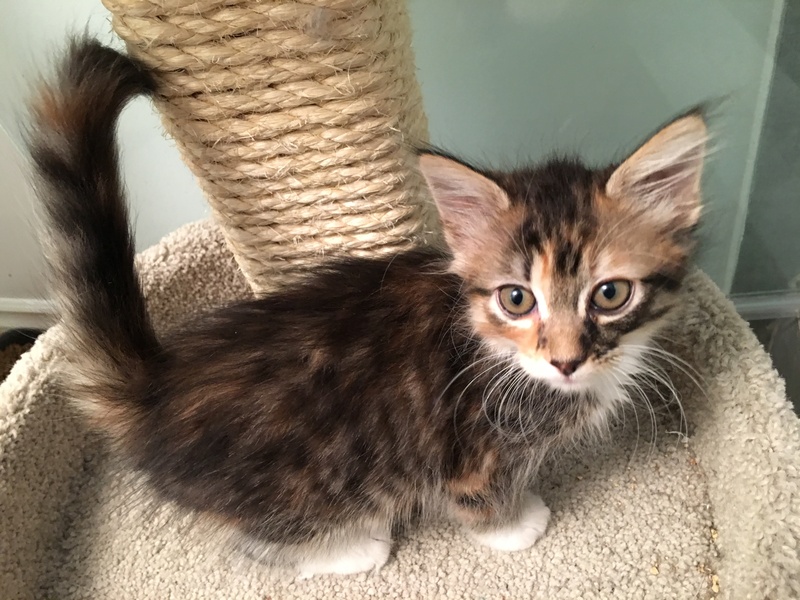 Glori is one of a litter of five kittens born on July 3rd to Momma Charlotte who was pregnant when rescued from Devore Shelter in May 2018. She and her brothers – QTip, Eugene Bean, Monaco, and Fuzzybear – were lucky. They never saw the inside of a shelter. They’ve all grown up loved and well cared for in the safety and security of their foster home. Glori is a very soft plushy little floof puff. 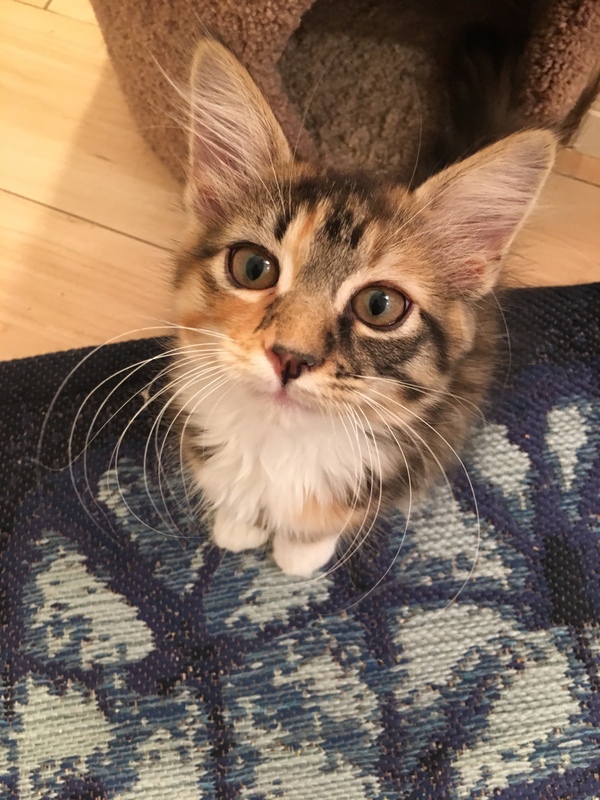 She’s is adorable, sweet and plays well with others. She loves a good human cuddle as well as playtime with her brothers. 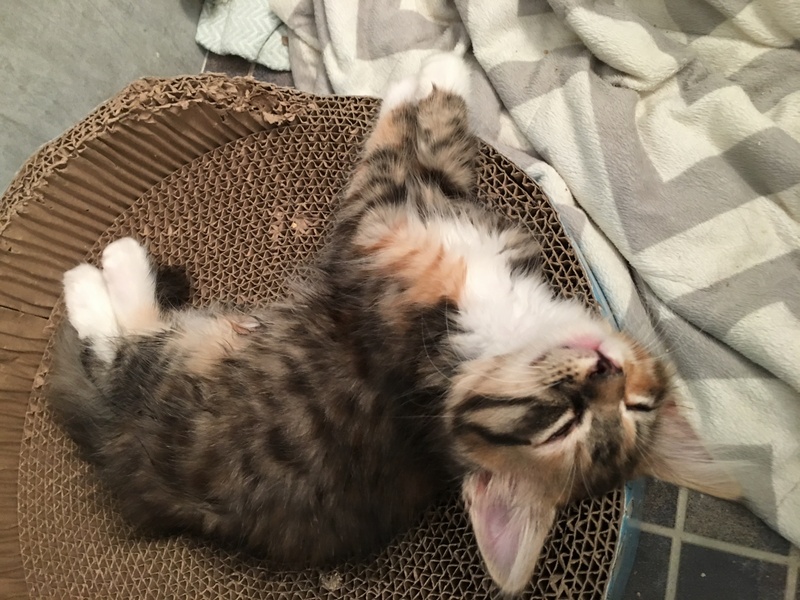 She’s been raised in a home with many kitties of all ages so would do best in a home where there were other cats close in age and energy levels. She’s dog-friendly provided the dog is cat-friendly. 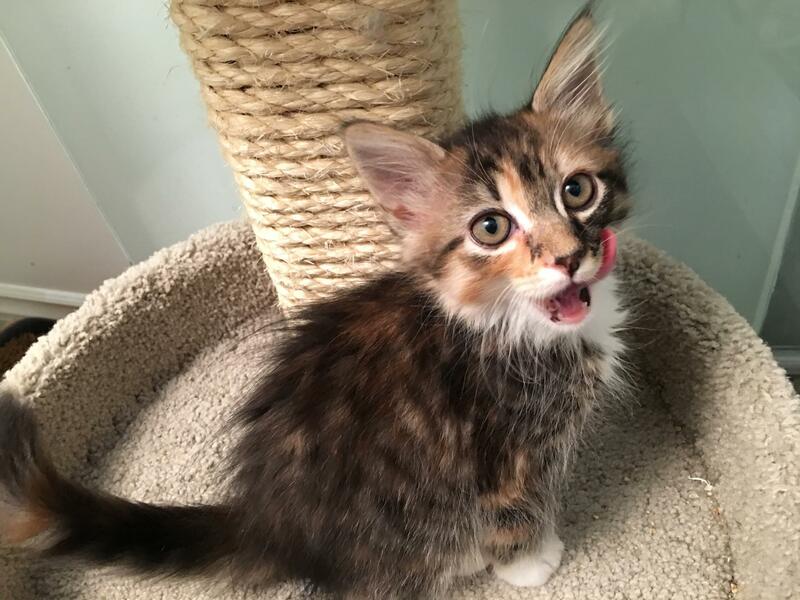 Glori was adopted October 8, 2018!